Flexitol is a product that treats both athlete’s foot and ringworm. It comes in a convenient tube that boasts easy application and quick results. Flexitol contains five active ingredients that work together to treat fungal infections quickly and effectively. 1. Urea is a chemical found both naturally and manufactured in scientific labs which acts as a nail and skin softener. It has been used for years to treat fungal infections, and topical use proves to be effective and safe. With hardly any side effects, it is highly recommended for treatment of fungal infections like athlete’s foot and ringworm. 2. Aloe is a natural ointment that soothes irritation and itching, and works immediately to stop the more unpleasant parts of fungal infections. 3. Vitamin E is a natural vitamin which strengthens and revitalizes skin to ensure healthy re-growth and a natural, safe way to recover from fungus on the skin. It also helps to guarantee that fungus does not return after it goes away. 4. Tea Tree Oil has been used for centuries in holistic medicine to treat fungal infections, and is all-natural and safe for any user. 5. Eucalyptus Oil is soothing. This formula is not only effective, but also clinically proven to work and diabetic friendly. Flexitol should be applied once or twice a day, and more if needed for relief from irritation. It can be applied by a convenient brush-applicator, which reaches hard-to-reach areas under the nails. When the affected area begins to heal, after approximately 3-4 weeks, users can apply less frequently. As with most nail anti-fungal treatments, best results are seen when applied for 6-8 months. Flexitol can cause irritation and redness. If users experience this, they should discontinue and use a product without Urea. Flexitol can be bought from many different vendors such as Walgreens or Drugs.com. A 1 ounce bottle is $9.99. Therefore, it is a very affordable way to find relief from fungal infections of the skin and nail. 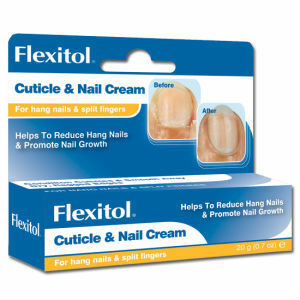 Is Flexitol Nail Cream Worth Your Time? Flexitol is widely available and affordable. However, the product does cause irritation and redness. Jack Stevens	reviewed Flexitol	on May 15th	 and gave it a rating of 3.